Now that the Central Government has given the green signal to the Metro in Pune, there is an urgent need to get some clarifications from the authorities. Metro-Rail is a good long term option for Pune – if designed and implemented well…Also, like any long ranging and super expensive project – it needs some detailed impact assessment and discussions. Thus far though, there are way too many open questions. It is definitely not an ideal scenario when so many basic questions lie unanswered. The residents of Pune cannot be in the dark on these open questions. Many groups and transportation/civic experts from Pune (Pedestrians First, Parisar, NSCC,…) have raised these serious questions for a long time regarding the present proposed plan for the Metro. They summarized it again recently in a letter to the PMC, with a copy to the State and Central Government Authorities. The letter has been reproduced here – please click this link (scroll down the page, after clicking the link) at the Deccan Gymkhana Parisar Samiti Website. The letter specifically highlights the questions pertaining to the first proposed corridor (Vanaz-Ramwadi), but some of the general questions are applicable for other proposed corridors as well. I think as a first step, every Pune Resident needs to be aware of these issues. Secondly, they need to pressurize their elected officials and other authorities to get answers to these and other related questions! Note, the time to raise the questions is NOW! Not when the construction starts and we have JCBs rolling down the roads. Pune is adding close to 1,000 vehicles every single day. That is nearly 400,000 vehicles per year on the already cramped Pune roads. And this number is increasing every single day. At the current rate of the growth of the city, I won’t be surprised if Pune starts adding 1,500 or 2,000 vehicles per day, before 2018. These are scary numbers, from the point of view of the city traffic. The only way for the city traffic to sustain itself in the medium term, is by encouraging more commuters to use public transit and reduce the reliance on private vehicles. 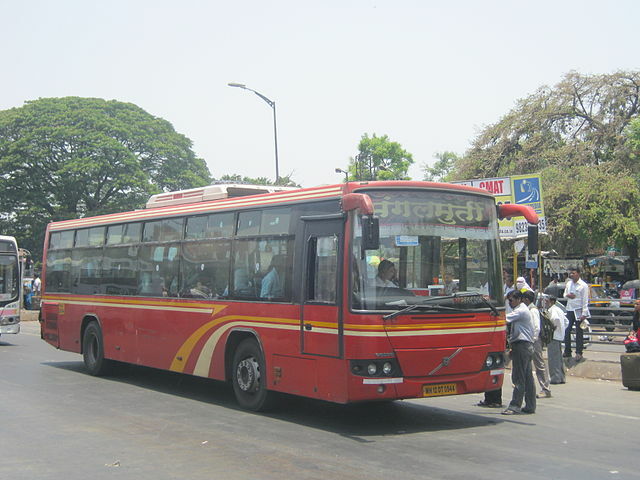 Today, only 10-20% of Pune’s population relies on public transport. This needs to change. But in order the facilitate this change, the public transit system needs to improve..as soon as possible. The 2-wheeler rider has to have a credible alternative. Planners talk about the BRTS, Metro, Mono-Rail – but these are long term measures. In the best case scenario, the first corridor of the Metro is at least 5-7 years away. What is needed urgently is an effective short/med term plan. Something that can be executed in under 12 months and put into implementation mode. Ideally, we should consider and act on both the short/med and long term plans simultaneously. One reason for the short term crisis is due to poor long term planning 10/20/30 years back. We cannot repeat that mistake. I believe that the right short and medium term (next 5-10 years) solution for efficient public transportation in Pune is an improved regular bus transit system. We need many more routes, with higher frequencies, and well maintained buses. We need mini-buses to enable good routes to crowded areas in the city center. High frequency mini-buses are also needed because the relatively short distances that people cover can, otherwise, be done by private vehicles. The bus service needs to operate with well-designed point-to-point, circular and hub-and-spoke routes. We also need long range buses that have less stops for the longer routes (e.g. 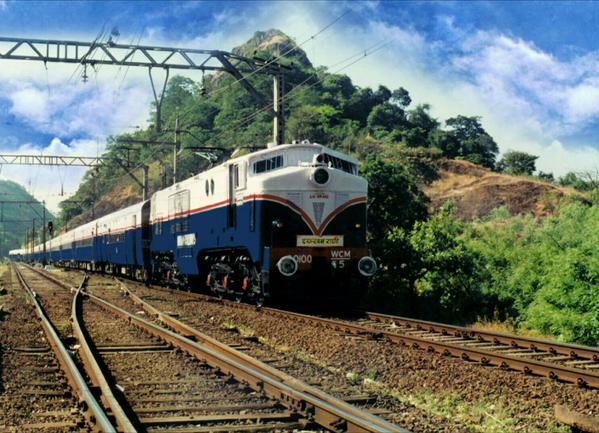 Deccan to Hinjavdi). Pune has a circular geography (like London, Delhi … and unlike Mumbai, New York City). Hence I think high capacity mass transit corridors (like 1-2 Metro Lines or 2-3 BRTS corridors) will not help majority of the population. They are needed..yes…but not at all adequate. Given Pune’s geography, a ring road will definitely help. Circular ring-road bus routes can connect with local routes. Note, if we really wanted to serve such a circular geography with the Metro, we may end up needing 7-8 Lines (like in London or Berlin) and we know that this is clearly infeasible in the next 15-20 years. Also, worth noting that many of the bus transit related improvements can be done for a fraction of the cost of the Metro Line and BRTS Corridors, and can be done fairly quickly, unlike the Metro. Even BRTS has taken more than 5 years and we are far from any decent implementation. Take the example of the Hinjavdi IT Hub. 5 years from now, we may have 300,000 people working and commuting from there. And yet, there is no Metro route even in the planning stage for that area! What Hinjavdi needs right away is a series of comfortable (AC) buses operating there, from 10-15 different locations in the city. Today, barely 10% of Hinjavdi commuters use public transit. That number needs to rise up to over 50%. Public transit buses can be so much better than the company buses, if run effectively. I am not against the Metro/BRTS – they are are also necessary, from the point of view of the long term transportation needs of the city. Do note, the existing BRTS needs to be fixed for all its problems before implementing any expanded version (my thoughts here) Even in the long term, when we have the Metro/BRTS/etc, given the circular geography and cross connectivity requirements, an efficient bus system will continue to be a critical need. Essentially to summarize, what I am saying is that we need two active plans and projects to address the public transit needs. And a higher priority needs to be given to the short-medium term needs…and should be addressed on an urgent basis. Remember, to the 1,000 vehicles being added every day, we don’t have the luxury of not doing anything for the short term. As I commented today on twitter – if we don’t address the next 5-10 years issues…we will all be in the dumps! Then we might as well forget the long term planning of a ‘vibrant metropolis’. Lastly I will add some point about traffic management. The bus service improvements have to go hand in hand with a significant improvement in our management of traffic flows, traffic law enforcement and parking zones. This is a big topic in itself and I will discuss it in a separate blog post.